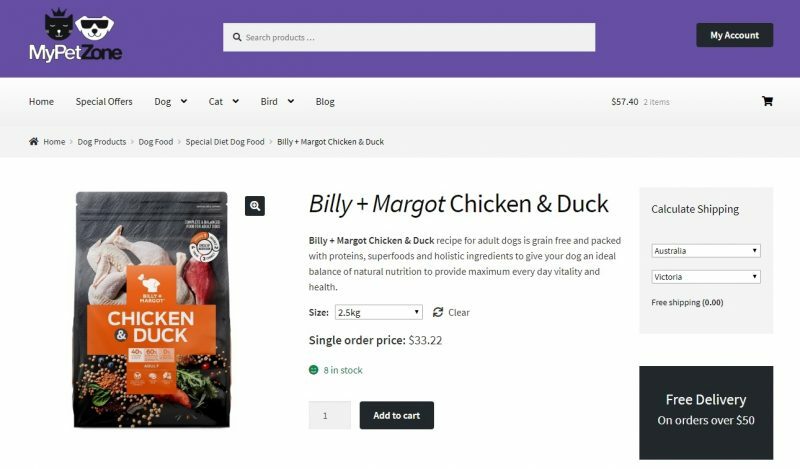 It’s called MyPetZone, and it’s an online pet store focusing on ultra-premium food and supplies for the Australian market. I’ve been working on MyPetZone—alongside a small team—for over a year, so it’s hugely exciting to finally reveal it to the world. In this post, I’ll be describing MyPetZone in greater detail, and looking at some of the challenges we faced, and lessons we learned, building a moderately-sized eCommerce website and business. We’re focusing almost exclusively on high-end products and brands. Most of the food is grain-free, organic, and made with locally-sourced ingredients. The overwhelming majority of stocked products are Australian made, but there’s also a number of imported products ranges that we’re introducing to the Australian market, such as deer jerky from New Zealand, or thermal dog coats from Great Britain. MyPetZone is built on WooCommerce, which is currently the most popular eCommerce software in the world. I’d used WooCommerce to build a couple of online stores before this project, but never one of quite this scale. 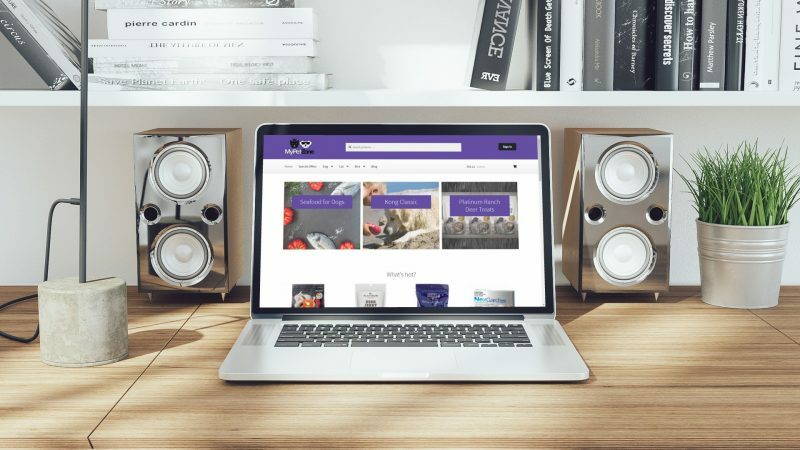 On the administrative side, WooCommerce’s complexity necessitated the development of inventory management tools simple enough for our admin staff to use. In total, 32 custom plugins had to be written to achieve the functionality and 3rd-party system integrations we needed. WooCommerce itself became a bit of a headache. During the course of development, there were twenty-one releases of WooCommerce. I don’t think there was single release that didn’t introduce a bug (to be fixed in the following release) or some significant plugin compatibility issue. Protracted and exhaustive testing of each update—however minor—in a staging environment is essential, because the WooCommerce team cannot be trusted to consistently ship stable software. Our marketing mix is quite diverse, with investment in Google Adwords, Facebook Ads, Google & Facebook Remarketing, strategic partnerships, display advertising, and content marketing. AdWords represents the bulk of our spend. Although I’ve used it quite a bit before, I didn’t feel anywhere near confident enough to devise and run a five-figure campaign on my own. We enlisted the help of a local firm specializing in AdWords advertising—Dynamic Creative—to oversee our AdWords campaign. Their minimum monthly advertising spend is five thousand dollars, plus an additional two thousand dollars in management fees, so they’re not really a viable option for most small businesses. The second major pillar of our marketing strategy is strategic partnerships. We’ve partnered with a veterinarian who owns a series of mobile vet clinics. She will be providing referrals and blog content in exchange for a portion of each sale of animal health products. Finally, we’ll be leaning on my personal pet-themed assets (Aviculture Hub, Aussie Finch Forum, and Critter Addiction) to get a little cross-promotional synergy going. There aren’t many shipping providers to chose from in Australia. Australia Post, the defacto standard in postal and delivery services, are much too expensive to be competitively viable. We settled on Toll, who have (so far at least) been an absolute nightmare to deal with. The account setup took the better part of a year, and once it had been setup barely any of the facilities worked correctly or had correct information. Automatic re-ordering and billing was too complicated to build from scratch, so went with the only plugin available that met our requirements. At $500 USD, it’s by far the most expensive WooCommerce/WordPress plugin I’ve ever bought, which makes it all the more irritating that it hasn’t worked properly for the entire time we’ve owned the license. We’ve reported multiple issues—the first on May 15th—and despite considerable back-and-forth, not a single one has been fixed yet. Hello. I’m a marketing guy who fiddles around with code and pixels. This is my personal blog where I share my travel stories, my work, and my opinions. What are Neophema parrots and why are they so popular? © 1993 - 2019. This site is hosted by LaunchWoo and brought to you by narcissism.